Paperwork – love it or loathe it, it’s one of those things every household tends to have, unless you’ve taken the leap for a paperless household. Probably not. Paperwork is one of those things that just seems to build up over time and become a disorganised mess quick smart. Most homes end up with a drawer, a box, a shelf or some other area that is somewhat of a paperwork storage space, with no great system in place. It makes it hard when the time comes to find something important we need. 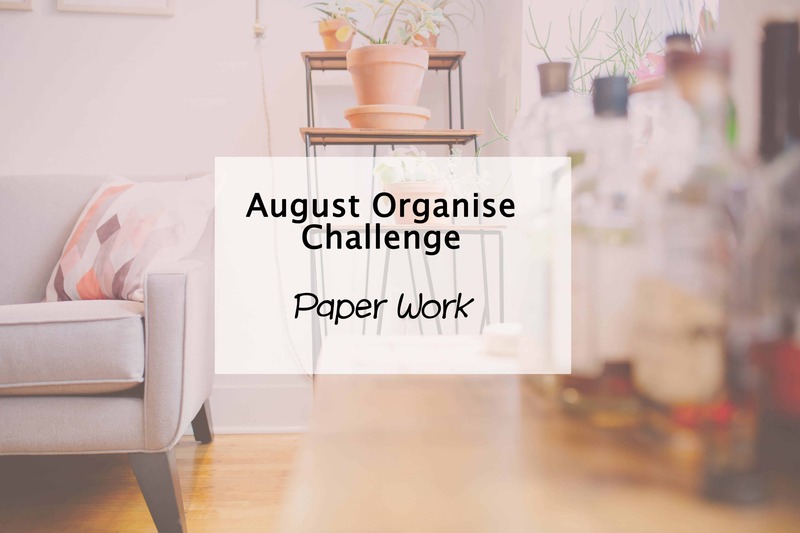 Earlier this month we looked at tackling the clutter of the home office and getting that room back into good shape, so it seems like a perfect time to now organise paperwork, since that tends to be one of the messiest areas of the home office. And even if you don’t have a home office, you probably still need some work on how to organise paperwork anyway. By putting a bit of a system in place, and making sure to cull the unnecessary stuff, your paperwork will be organised and easy to access in no time. Make sure not to dispose of anything important that you may need at a later time. Remember certain records need to be maintained for a minimum period, so the best option is to refresh your knowledge of these guidelines document guidelines from your government website. You may already have the resources for this, such as a filing cabinet, a filofax or another area to keep your paperwork organised. If you are using a drawer or box, consider using manilla folders or plastic sleeves to organise the different types of paperwork within the space. Alternatively you may want to organise paperwork by year or financial year if you prefer. This is helpful for tax and business related expenses especially and may be ideal if you have large lots of different types of paperwork to organise. You can also minimise sentimental paperwork if you want to cut down by scanning or photographing things such as children’s artwork. Consider creating a photo book full of these childhood creations to give to them when they are older. This is a good way of decluttering your life a little too. Another part of the process to organise paperwork is to have a good disposal system for personal documents, such as investing in a home shredder to ensure your personal information is kept safe. Do you have a paperless system in place for any of your usual paperwork? I’m a stacker too. The worst part is, it only takes a couple of months to get out of control again. Even though so many things are now digital, it hasn’t really reduced our paper clutter yet. Good luck! I am a big believer of creating a system haha Great post! I’m hopeless when it comes to culling and sorting papaerwork. Unfortunately it’s not until the mountain topples over and it all frustrates me that I get into gear and sort it all. Don’t know why I wait so long seeing that once it’s done it feels so good. So many of us are guilty of it. I have a tray that piles up but have since emptied my filing cabinet to improve my ways 😉 it will save time & mess in the long run. Having a system is so important. We have a set of filing drawers but where I fall down is not filing as I go – hence I end up with piles of paper and hours of sorting. I need to just do it as I go! Me too. Once I sort the current pile, hopefully I will keep on top of it lol just have to teach the hubby to do the same! It’s so easy to fall into those bad habits and then spend an hour trying to find something important because of it. Oops! A shredder was one of the best things I ever bought! I used to spend hours on filing each month…but now most stuff is available electronically (and filed that way) OR is not really needed, and can be shredded. It is very liberating to just shred and toss. I keep one pocket folder for each family member for each year – special or sentimental documents (invitations, certificates, programs etc) go straight into that. Your system sounds fantastic. So light & organised. A shredder is a great option. I visit mum for shredding but it’s definitely an important part of paperwork disposal!